Home Hotshot Crew List Should I be a Smokejumper? Should I be a Smokejumper? Thinking About Making the Jump? Smokejumping. There’s freedom, prestige and a sense of majesty that comes with floating from the sky onto a fire. Rookie training is notoriously brutal, and the fact that you’re an airborne firefighter grants smokejumpers a special status among their peers, mildly similar to the divide that exists between grunts and special forces operators in the military. If you’re a smokejumper, you’re a badass. That’s all there is to it. Ernest Hemingway himself couldn’t have invented a more masculine job. Put on armor. Load into plane with fellow warriors. Fly to desolate wilderness area. Look for fire. Jump out of plane. Avoid impaling oneself on tree limbs during landing. Pick up battle axe. Attack fire. Rest. Attack it again. Hike home victorious. Thinking more about it – who wouldn’t want to be a smokejumper? Well, like anything in life, there’s some pros and cons and compromises that you should consider first before submitting your application. Flexible vs. Structured: Smokejumpers are a notoriously loose bunch. Hotshot crews..not so much. If you love structure, rigid hierarchy, tool orders, and an iron-clad command and control structure, you might want to stick with hotshotting. On a jumper fire, the first person to land is the IC. That means you could have a rookie bossing around a 10-year veteran. Some people thrive in this environment, others don’t. Fire Assignments: Smokejumpers are an initial attack resource. Hotshots are an extended attack resource. Smokejumpers live on a steady diet of lighting-started fires. They get in quick, scratch some line, hook it, and call it good. They take their packs off when they work (or so we’ve heard). They don’t hike in tool order. Hell, they don’t even HAVE a tool order. When it gets big and ugly, they turn it over to the hotshots. So if you love burn shows, and have a panic attack when you see a handline with anything less than a six foot saw cut and a three foot scrape…you should probably stick to hotshotting. What do you want to do in fire? As a smokejumper, you’ll be able to pile on a lot more certifications than you would on a hotshot crew. If you have aspirations to be on an IC team, or to be division, jumping for a few years might be a great career move. You’ll gain valuable experience with coordinating logistics, handling paracargo operations, managing helispots, and other aspects of the aviation-side of firefighting that you just can’t get as a hotshot. Plus, it’s great for street cred. If you can make it through rookie training, and hold your own as a jumper, that says a lot about your physical fitness, and your mental fortitude. The fire world is a macho culture – it always will be. Knowing that you had “SMKJ” on your hard hat earns you some serious points. If you love running the saw, and that’s the only thing you want to do, you might not want to be a smokejumper. When jumpers land, it’s a free-for-all for the tools. If you land late, you might be cutting line with a pulaski. You have to be alright with that. As a hotshot, if you’re on saw team – you’re running the saw no matter what. During a slow year, hotshots benefit most from the nature of their assignments. Smokejumpers are utilized in the early stages of an incident. If they can’t control a fire within a day or two, extended attack resources (e.g. hotshot crews) are called in, and the smokejumpers return to base. Smokejumpers don’t spend 14 days on a fire, mopping it up. Any hotshot will tell you that the money is in the mop-up. The shifts can be agonizingly boring, but that’s where you get the bulk of your overtime and hazard pay. 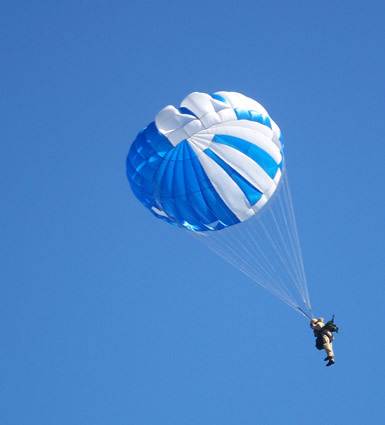 If you’re seriously considering becoming a smokejumper, get a few seasons under your belt as a hotshot, preferably in the region where you want to jump. For instance, if you want to jump out of Missoula, consider working on the Lolo Hotshots. You’ll have the opportunity to cross paths with their overhead, and get a sense of their culture, and maybe even cut some line with them on a fire or two on forest. When hiring season comes along, that familiarity with help boost your chances considerably. Oh, and definitely read Murray Taylor’s autobiography “Jumping Fire”. It’s hysterical and will put you about two beers and a dare away from submitting your application to jump AK.